With the continuing advances in technology, finance, and business-compliancy concerns, the demand for an educated sales force has risen. While not all sales careers require education beyond high school, many do. 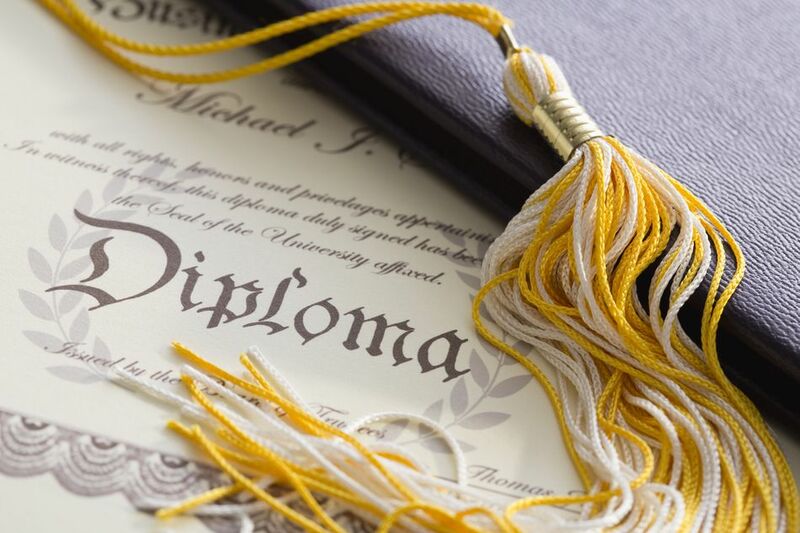 While certain sales industries may demand a specific degree, there are college degrees that are widely accepted and sought after in the sales industry. Practically every pharmaceutical company that employs a sales force has a minimum requirement of a bachelor's degree. While a degree in biology or chemistry ​is best suited for a career in the pharmaceutical industry, most any degree will suffice. In sales, a degree in finance is king. In sales, you will be designing solutions and proposals that will involve the transfer of money. Having a finance background allows sales professionals to more fully understand the financial impact to both the sales professional's company and the customer's. Understanding the financial impact of a transaction also improves the rapport that sales professionals can build with their clients. The more complicated the financial side of a transaction is, the more a finance understanding comes into play. Working with lease rates, depreciation schedules, ​a total return on investment (ROI), and total cost of ownership (TCO) are all-important financial factors that many potential clients will want to know. Having an MBA is often overkill for many sales positions, but organizations that offer vertical advancement and "responsibility expansion" opportunities will often prefer a candidate with an MBA to most other degrees. Marketing and sales go hand in hand, and the greater understanding of how to effectively market a product or service a sales professional possesses, the greater the likelihood that the sales professional will be successful. Having the understanding of how a product or service is marketed and why certain go-to-market approaches were chosen (or not chosen) could give a sales professional a unique advantage over others employed with the same company. For sales industries that are non-specific in nature, a degree in Liberal Arts is a well-rounded education that shows some degree of proficiency across many different lines of study. Many colleges and universities offer "concentrations" that augment a liberal arts degree. For sales careers, the best concentrations are in business management, finance, marketing, and, if available, sales. Beyond the education earned in a classroom (or online), targeted training and certifications are another valuable component of a sales professional's education. There are several certifications available for many different industries, and each is targeted for a specific part of an industry. For the IT industry, for example, CompTIA offers several certifications that sales people selling IT services and products should consider. To find what certifications are in demand in your chosen industry, search the internet for certifications available for your industry. The more times a specific certification comes up in the search results, the more likely that certification is one that you should consider.